Here is the complete tutorial to flash karbonn a1+ mobile phone using Upgrade Download Tool. In this topic you will able to know the flashing procedure of karbonn a1+ and the CFT Calibrate & IMIE Issue of the phone and also know how to create a modified USB cable for the Karbonn A1+. These Karbonn A1+ Tools and Firmware can be download from moulnisky website, so first download these files and extract using unzip software then follow the steps below to flash the phone. 1) How to Flash Karbonn A1+ Using Upgrade Download Tool? After flash success switch On the phone, you will get some error message on screen i.e. No IMEI and CFT Not Calibrate, don't worry about this see the below step to solve this. 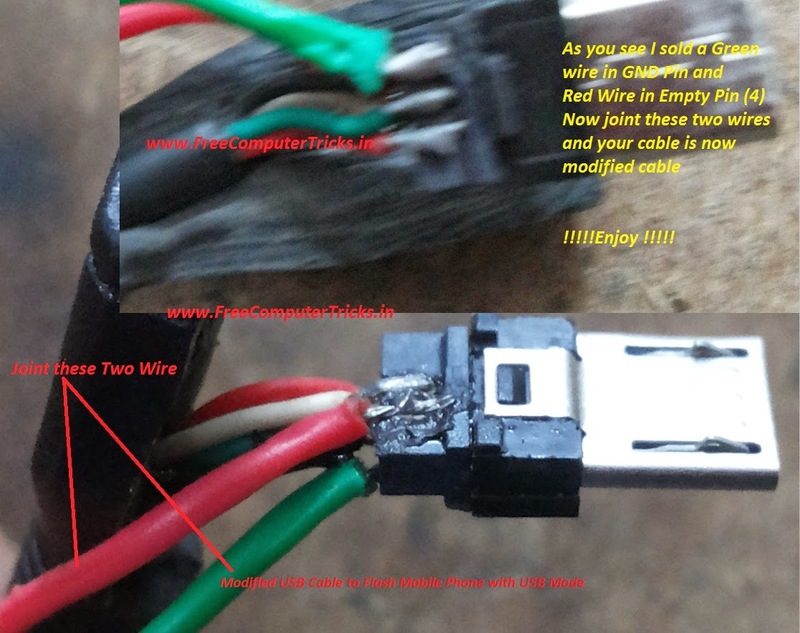 How to Create Modified USB Cable For Karbonn A1+? OK.... but after flash the phone, it will take 3 to 6 minutes to complete switch ON, so wait up to 6 minutes, if still it's not switch ON then it may have some hardware issue.